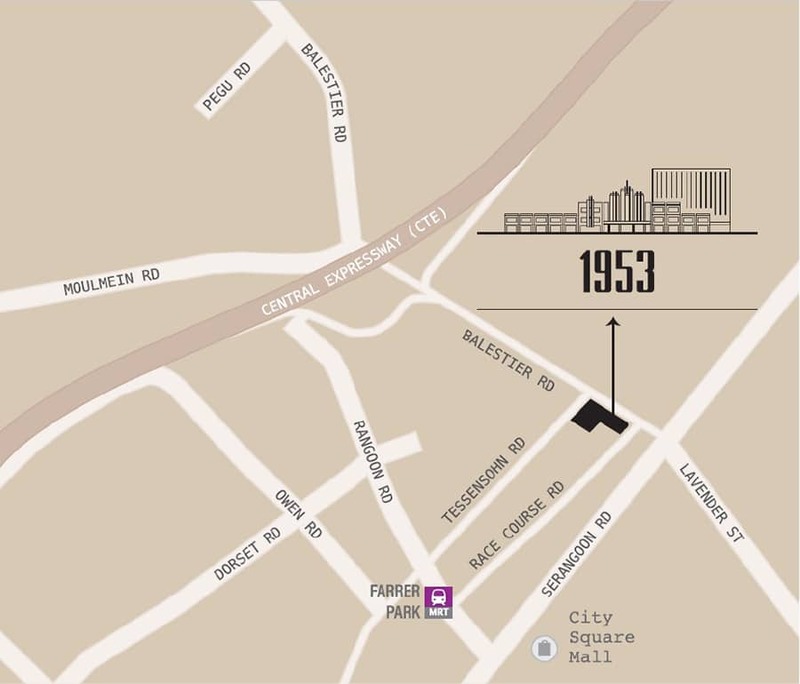 1953 is an upcoming mixed development that is located in Balestier which is a subzone located in the Novena Planning Area, Central Region of Singapore. The site is in the junction of Balestier Road and Tessensohn Road. It is next to Singapore Khalsa Association which is situated along Tessensohn Road and also opposite to Kwong Wai Shiu Hospital and Nursing Home which is located across Balestier Road. 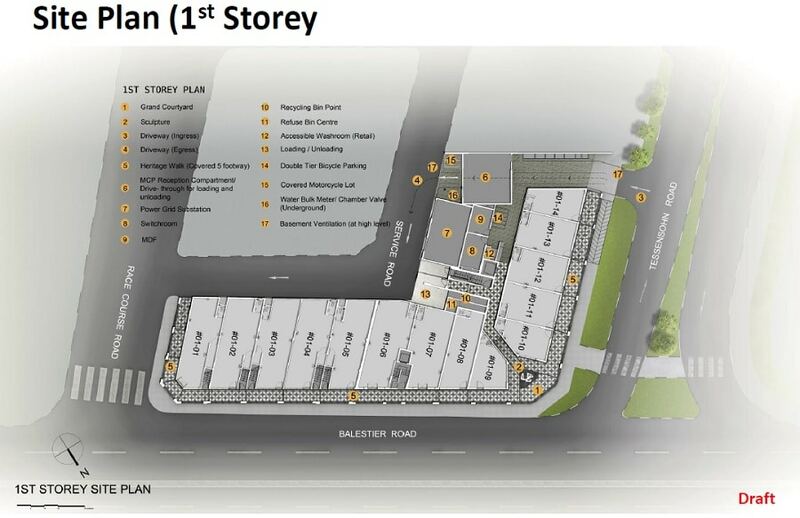 The commercial element of this mixed development will be located in on the first storey. The site of 1953 had previously belonged to a cluster of properties which was owned by Owen Private Limited. It was successfully acquired by Oxley Amethyst in December 2017. Owen Private Limited is 47.5% owned by Oxley’s executive chairman and chief executive officer, Ching Chiat Kwong. 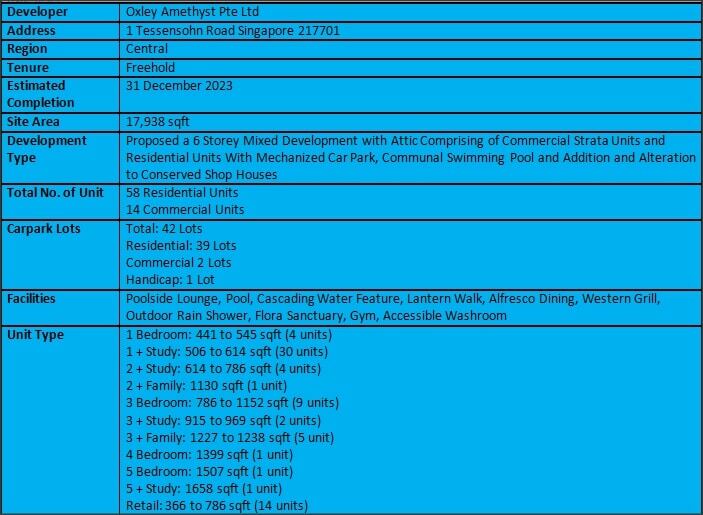 Oxley’s deputy CEO Low See Ching and substantial shareholder Tee Wee Sien also hold 42.5% and 10% stakes in Owen, respectively. This mixed development has a total land size of approximately 17,938 square feet with a gross plot ratio of 3.0 and the land tenure belongs to freehold. 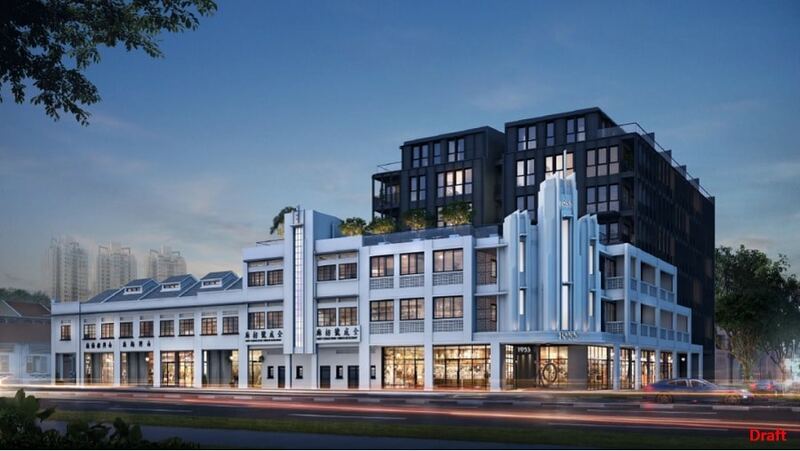 Other developments that are within 1953’s vicinity include Jool Suites, 8 Farrer Suites, The Citron and The Citron Residences, Sturdee Residences, City Square Residences, Kerrisdale and Uptown @ Farrer. 1953 is approximately 500 m away from Boon Keng MRT Station which operates the MRT North East Line. Future residents just need to travel 2 train stations on this MRT line towards the Harbourfront MRT Interchange direction to arrive at the Little India MRT Interchange Station where the Downtown MRT Line is readily available. Future residents also just need to travel 3 stations in the same direction from Boon Keng MRT Station to arrive at Dhoby Ghaut MRT Interchange Station which located in Orchard. Future residents will be able to transit to the MRT North East Line and also the MRT Circle Line which is available at the Dhoby Ghaut MRT Interchange Station. For those driving, the development is just approximately 8 minutes’ drive away from Orchard Shopping Belt. Those working in the Central Business District (CBD) will just need approximately 8 minutes of driving to arrive at their offices. The development is also close to the Central Expressway (CTE), the Pan Island Expressway (PIE) as well as the Kallang Paya Lebar Expressway (KPE) which provide high connectivity to various parts of the island. 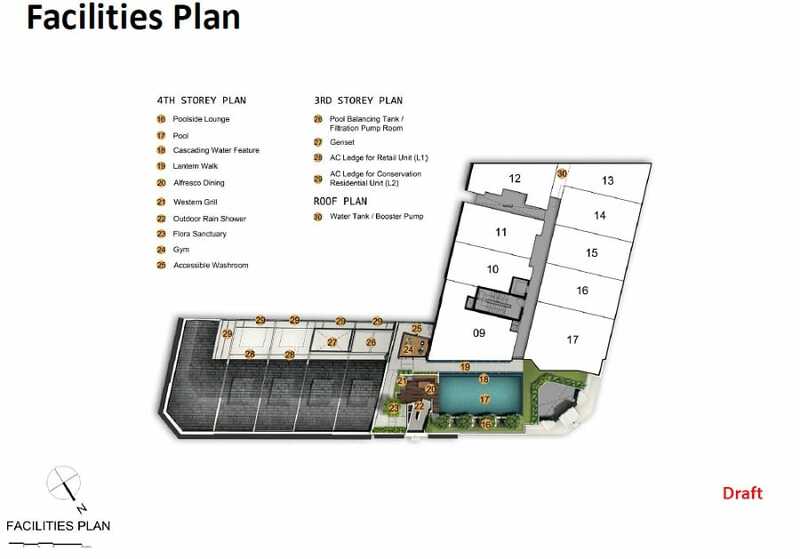 The development is just a short walk away from City Square Mall and also the 24 hour Mustafa Centre. Future residents can shop to their heart’s content with the numerous retail options available these 2 shopping malls. These malls also host numerous F&B outlets, food court, supermarkets and also cinemas. The development is also close to the Connexion, a state-of-the-art healthcare, hotel and retail complex. There are also many food centres that are within 1953’s vicinity which include Blk 29 Bendemeer Road Market and Food Centre, Whampoa Makan Place and Market, Pek Kio Market and Food Centre and Berseh Food Centre. Local schools that are short radius to 1953 include Hong Wen Primary School, Farrer Park Primary School, Bendemeer Primary School, Saint Joseph’s Institution Junior, Stamford Primary School, Balestier Hill Primary School, Saint Andrew’s Junior School, Pei Chun Public School, Saint Margaret’s Primary School, Bendemeer Secondary School, Saint Andrew’s Secondary School and Saint Andrew’s Junior College. It is also close to international schools like Global Indian International School (Balestier Campus) and Italian Supplementary School. Prime – It is located in the prime district 3. Panoramic Views – It is offers 360 degree views of the city. Want to be a proud owner of a unit in 1953? Thank you for your interest in 1953!